The arts are a powerful way to illuminate any classroom subject. During weeklong residencies, pre-K and elementary teachers and artists work together pairing the artist’s professional skills with a curriculum established by the teacher. During the residency, the artist, teacher and students write original music and songs, choreograph new dances, write and perform theatre pieces, or create works of visual art that help students learn math, science, history or language arts. 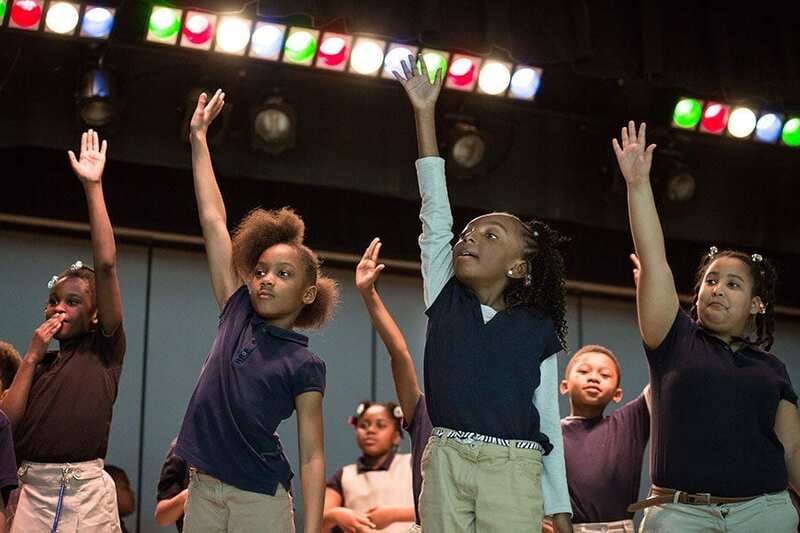 Muse Machine’s pre-K and elementary program brings learning to life through arts-integration residencies in schools across the Greater Miami Valley Region. Our resident artists are musicians, dancers, actors and visual artists that collaborate with young students to create curriculum-based art experiences.